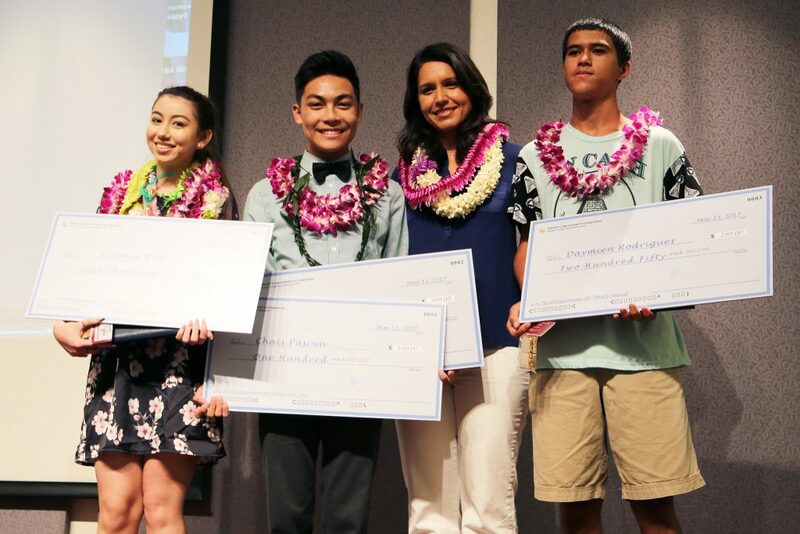 Each spring, Rep. Tulsi Gabbard sponsors the Kaha Kiʻi Congressional Art Competition, which is open to all high school students grades 9 to 12 in Hawai’i’s 2nd Congressional District. This competition is a part of the larger, nationwide Congressional Art Competition. The winning artwork is displayed in the US capitol for one year, along with winning artwork from participating districts around the country. The piece will also be featured on the Congressional Art Competition webpage. The second-place piece will be displayed for one year in Gabbard’s Washington DC office, and the third-place piece will be displayed in Gabbard’s Hawai’i District office. The deadline to submit an entry to the competition is Friday, Feb. 22 at 6 p.m. Digital files of 2D artwork must be submitted through the competition submission form. Only one submission is allowed per student. Artists are being asked to enter all of the information in the form carefully to ensure that competition organizers place the correct names on exhibit labels, certificates, and awards. JPG Files: JPG files should be captured by a high-resolution camera. File Size: Each JPG file should be at least 1 megabyte but no greater than 10 megabytes. Judges will select which pieces will qualify for the semi-final round on Saturday, March 9. Teachers will be notified of the selections shortly after. These pieces will be installed at the Hawai’i State Capitol on Saturday, April 20 for the Art Exhibition at the Hawai’i State Capitol. Students from O’ahu schools need to drop off their artwork at the capitol (basement level) that day between 9:30 a.m. and 11:30 a.m. or at Rep. Gabbard’s district office before Friday, April 19. Rep. Gabbard’s office is located in the Prince Kūhiō Federal Bldg at 300 Ala Moana Blvd, Room 5-104. The office is open from 8 a.m. to 5 p.m. and requires an ID for security access. Students from neighbor island schools must request a prepaid shipping label by Friday, April 12 by emailing Anya at anya.anthony@mail.house.gov. The email must include the name of the student’s school, a ship from/return address, contact information for the student’s teacher (name, phone number, and email address), the artwork’s weight in pounds and dimensions (L x W x H), and a description of the piece (the amount of pieces inside, if congressional or YAM, etc.). 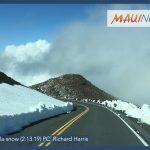 The Art Exhibition at the Hawai’i State Capitol will be help from Monday, April 22 to Saturday, May 11 in the basement level. 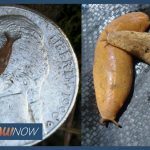 An awards ceremony will be held on Saturday, May 11 from 10 a.m. to noon in the Hawai’i State Capitol Auditorium, which is also located on the basement level. Be original in concept, design, and execution and may not violate any U.S. copyright laws. All entries must be original in concept, design and execution and may not violate any US copyright laws. Any entry that has been copied from an existing photo or image (including a painting, graphic, or advertisement) that was created by someone other than the student is a violation of the competition rules and will not be accepted. Work entered must be in the original medium, that is, not a scanned reproduction of a painting or drawing. 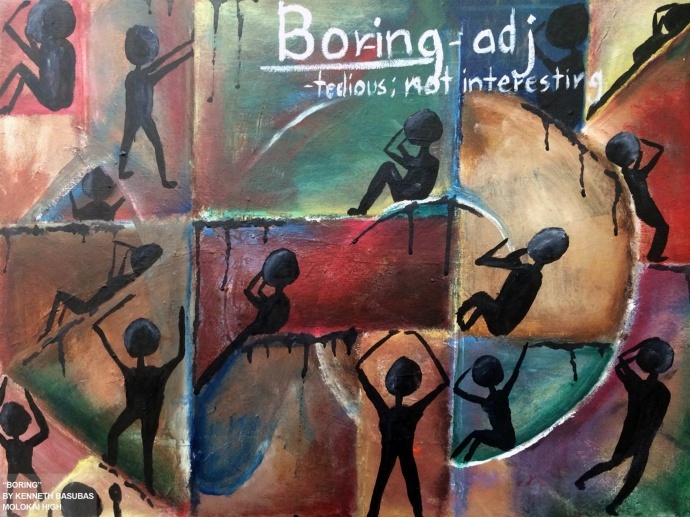 Paintings – oil, acrylics, watercolor, etc. Mixed Media – use of more than two mediums such as pencil, ink, watercolor, etc. Collages (must be two dimensional). 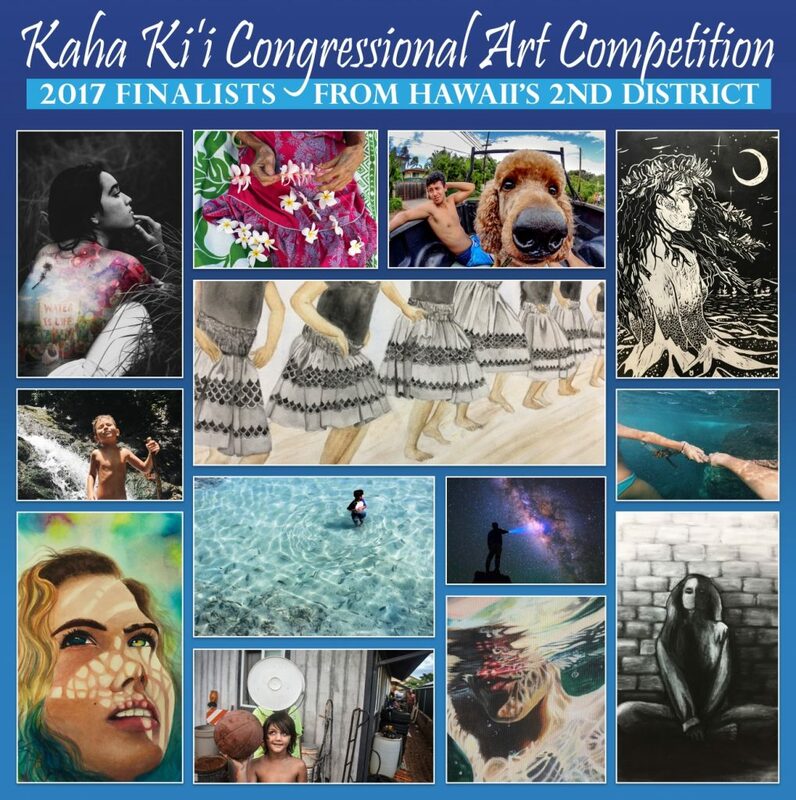 Anyone with questions regarding the Kaha Ki’i Congressional Art Competition can contact Anya at anya.anthony@mail.house.gov or call (808) 541-1986.